On Monday, January 28th, three U.S. governors—the Republican Governor of Maryland, Larry Hogan, the Democratic Governor of Pennsylvania, Tom Wolf, and the Republican Governor of New Hampshire, Chris Sununu—had an open, public discussion on cooperation across party lines in these states where the opposing party controls the legislature. 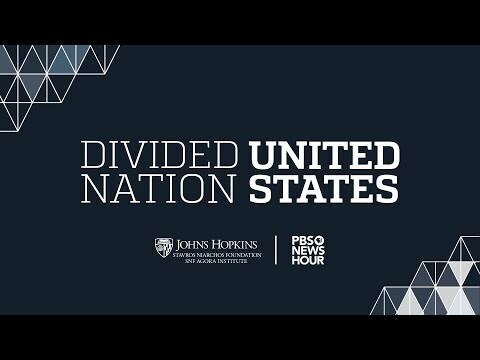 The event, entitled “Divided Nation, United States,” was hosted by the Stavros Niarchos Foundation Agora Institute at Johns Hopkins University and PBS NewsHour. The discussion, moderated by NewsHour anchor Judy Woodruff, was held. at the Stavros Niarchos Foundation Parkway Theatre in Baltimore and broadcast live online as part of the NewsHour LIVE series. The ongoing partial shutdown of the United States government is sure be a focus of the discussion, at a time when intensifying political polarization endangers social cohesion and the smooth functioning of democracy. Drawing inspiration from the Agora of ancient Athens, which was a hub of conversation and debate and the center of the city-state’s democratic governance, the Stavros Niarchos Foundation (SNF) committed $150 million to a joint effort with Johns Hopkins University to create the Stavros Niarchos Foundation (SNF) Agora Institute. The SNF Agora Institute brings together experts from fields such as political science, psychology, and philosophy, in order to facilitate the restoration of open and inclusive discourse.